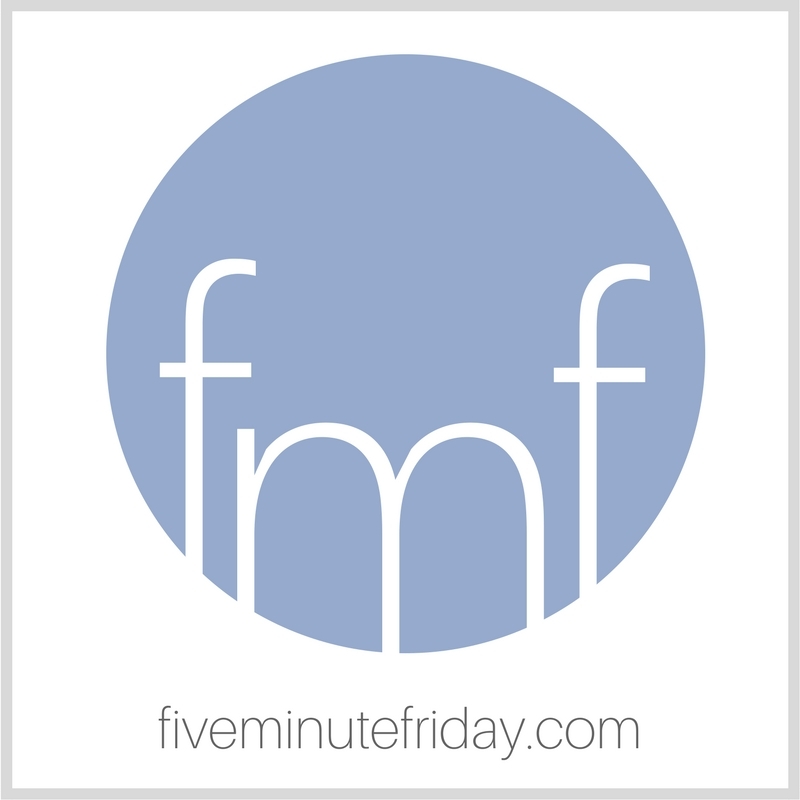 Registration for the first ever Five Minute Friday Retreat will open at 9pm EST on Thursday, April 16th! Click here for more details about the retreat, and click here for ticket info on the registration form. Tickets for the whole retreat are $180. This includes two nights of accommodation, Friday dinner, Saturday breakfast, Saturday lunch, and Sunday breakfast. Cost of transportation and Saturday dinner are not included in the ticket price. Tickets for Saturday only are $45. Day visitors are welcome from 9:30am-4pm on Saturday. The day visit ticket includes a morning discussion, a special presentation, lunch, and an afternoon session. There are 25 retreat tickets and 10 day visitor tickets available. Tickets will be sold on a first come, first served basis. ** No refunds are available for cancellations. You may sell your own ticket to another person if you purchase a ticket and are unable to attend. 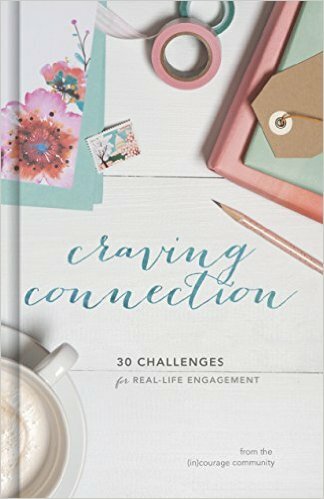 In case you haven’t heard, Crystal Stine is offering a super-cool 30-day online course for FREE in April. 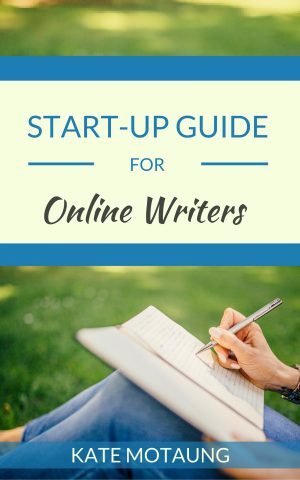 It’s called Creative Basics, and it’s all about how to create awesome graphics online for use in blog posts, social media, the works. Click here to learn more about it, or just click here to sign up ASAP! 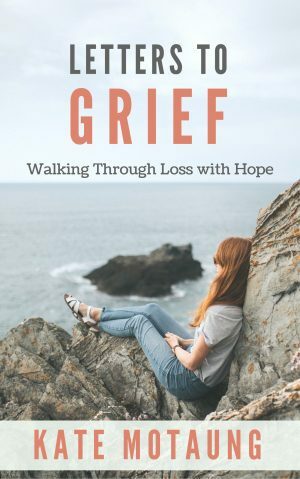 Annnd .. you can even pre-order Crystal’s brand new e-book right now! 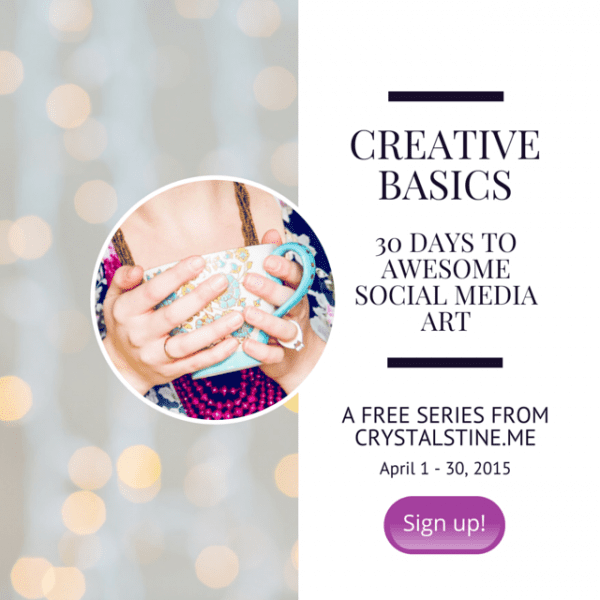 It’s called Creative Basics: 30 Days to Awesome Social Media Art . This week I’m delighted to have a video with Asheritah from OneThingAlone.com and Liz von Ehrenkrook from the blog, So I Married a Youth Pastor. 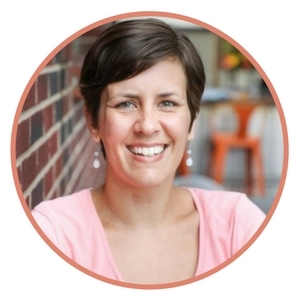 Liz has some great advice for the FMF community, so don’t miss it! Also, the prompt for this week was inspired by Liz’s 31 Days series from last year, 31 Days of Breaking Religion. 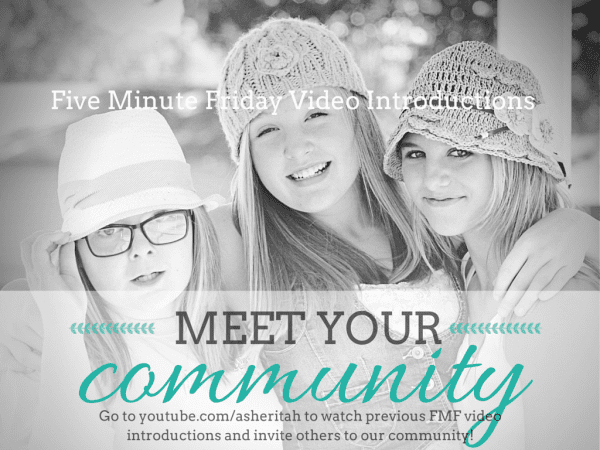 Also, if you’re part of the FMF community, Asheritah wants to interview YOU! Click here to sign up for a slot, and we’ll love you forever. If you’re new to the FMF community, everything you need to know can be found right over here. If you’ve been with us forever and pretty much do this in your sleep, then let’s get to it! A few years ago, my dad was scheduled for open heart surgery. Triple bypass. Being a retired non-invasive cardiologist, he knew exactly what to expect. Surprisingly, he was calm about the whole thing. I had never thought about that before. Having to break a perfectly good bone to repair a damaged heart. But isn’t that how the Lord works, sometimes? Sometimes God has to break us in order to make us whole. He has to break our nasty habits, our hidden loves, our external vices before He heals our hearts. He has to break us of ourselves. And sometimes that hurts. Sometimes it takes weeks to heal. Months, even. He brings us low, face first and humbled in the dirt, until we’re sprawled out at the foot of the cross. Because that’s the only place we’ll ever find true healing. God’s heart split wide open at Calvary so that yours could be restored. This week we pause to remember the life of Kara Tippetts, wife of Jason and mother of four, who fought the good fight and won. 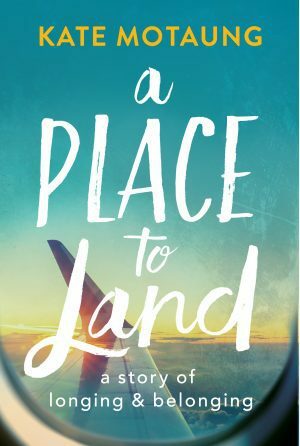 She was 38 years old, author of The Hardest Peace: Expecting Grace in the Midst of Life’s Hard , and was welcomed home on Sunday, March 22nd. So, so true. And I’ve been pondering something VERY similar lately, seeing how God is doing this in my own life. Really difficult, but worth it in the end. Great attitude, Jen! 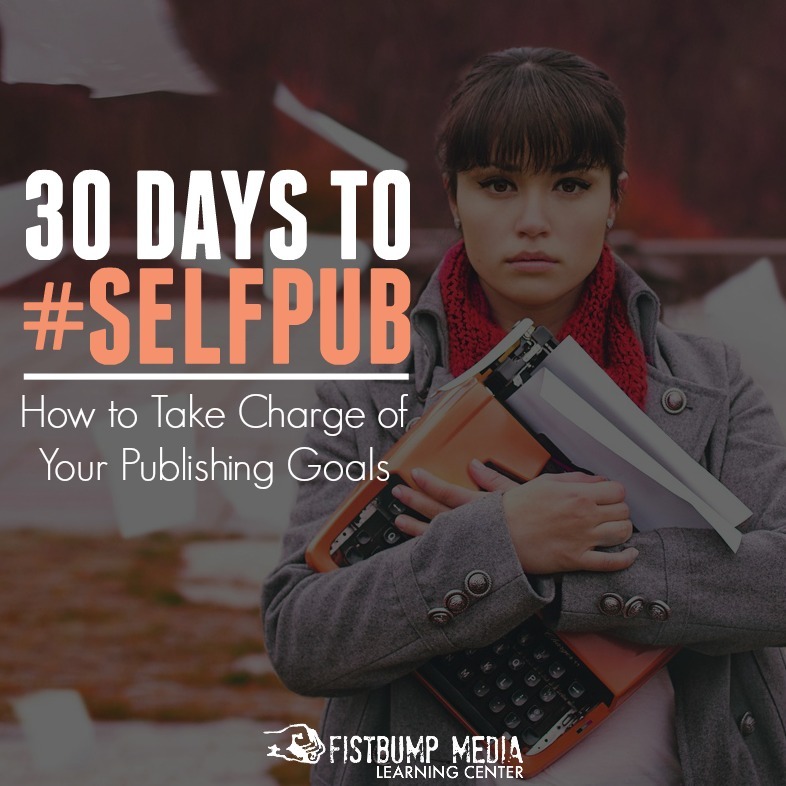 Keep the end goal in sight! God’s heart split wide open at Calvary so that yours could be restored. These words literally bring me to my knees. This time leading up to Easter is such a journey and always stretches and breaks me in such amazing ways. I’m ready for my Easter break! Just one more day!! I’ve heard in several sermons and Bible studies that ancient shepherds would break the legs of sheep who would wander. They would carry these sheep on their shoulders so that the sheep would learn their voices and feel their heartbeats. When the sheep were healed, they would stick close to their shepherds. They had learned to not run away. I think God does that with us sometimes. He’s definitely done that with me; broken my legs and carried me around. And in that, as you say, comes our healing. 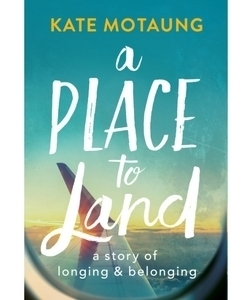 Love your post this week, Kate. It’s something I’ve been thinking about a lot as I go through a very bad phase of my life….however much pain I’m passing through, I’m trying to always remember that there are lessons to be learned and that I’m getting much stronger because all the bits of me that needed improvement are becoming improved. Your dad’s story is a powerful illustration of how God has to break us sometimes to heal our hearts. He’ll always heal us if we yield to His breaking, which is ultimately tender with love for us. Wow!! great post!! I never knew or thought about the perfectly good bone needing to be broken in order to restore someone’s heart. I love this! Well – you know… for other people! 😉 I love the truth of it, if not the actual process! I deal a lot with prayer tools for inner healing and I remember when I was first learning them, God reminded me of how often a bone will break and heal on its own – but it didn’t heal correctly or completely and so a doctor actually has to REbreak it and set it right for it to truly be restored! Yeah. That. Our God is a restoring God and He wants all of our brokenness to heal correctly and completely so that we are fully restored – meaning, better than before! Amen! Kate, such timeless truths here. 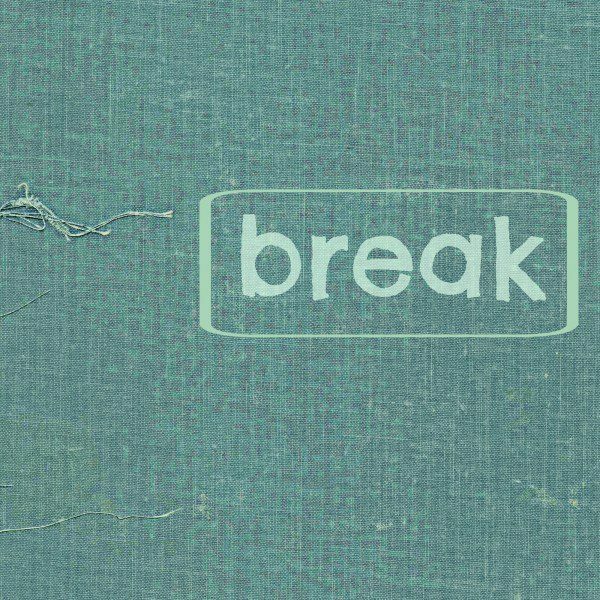 God does have a way of breaking the parts of us that need breaking in order to heal our hearts. And it does hurt! But the good that comes from His handiwork is always what we need. Though it hurts, I’m so thankful God doesn’t just leave me to heal alone. He’s with me, working His balm into the painful places and making me more like Him. I’m thankful He does that hard word of breaking us of ourselves. It’s painful, isn’t it??!! I’m glad He didn’t leave me where I was, and I’m thankful He’s not done with me yet. Thank you for the truths you continue to share! Blessings!